First prepare the bajji batter - Take all the ingredients (except potato and oil) in a bowl and mix together well adding water a little at a time. The batter should be neither too thick nor too thin almost like dosa batter. Make sure there are no lumps either. Check and adjust salt if required. Wash the potatoes well, peel the skin and slice them into thin discs or any shape of your choice. Don't slice them way too thin as they might crumble nor too thick, else it won't get cooked properly. Keep them immersed in water till required for use. Heat oil in a kadai. Drop a little batter into the oil to check if the oil is hot enough to fry the bajjis. 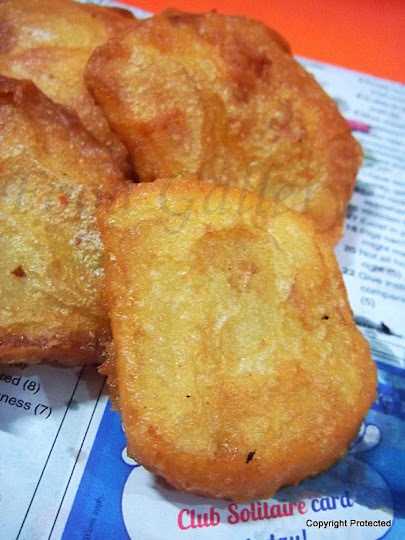 If the batter sizzles to the surface immediately, then the oil is ready to fry the bajjis. Reduce the flame to medium. Dip a potato slice into the batter and see if it is coated on both sides properly and drop it gently into the oil. Cook well on both sides till golden brown and remove onto a paper towel. You can fry the bajjis in small batches of 4-5 at a time. 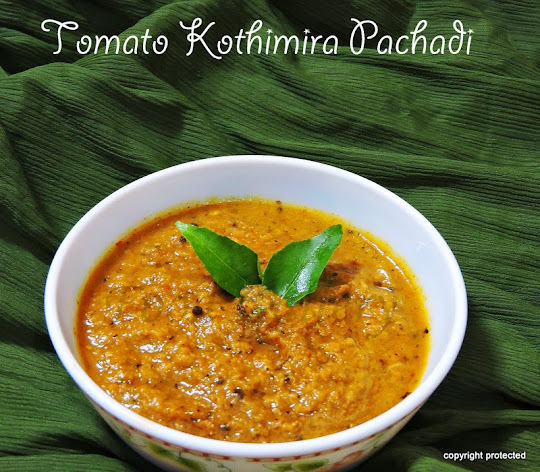 Serve the bajjis hot with coconut chutney or along with a cup of tea. Make sure the batter is not runny or else it will not stick to the potatoes. Adding baking soda makes the bajjis soft and fluffy. I love this pakoras with tea.